If you would like to donate or order Religious Impulse – A Quest for Innocence, please contact us at the Atrium Society. can we bring about an ethical understanding, a mind is a virtuous, innocent, untouched by conventional moralistic thinking? "Do we suffer because we are a divided human race, isolated from each other in beliefs and in primitive tribal associations formed around those beliefs? Isn't seeking the Divine really seeking our own projected wishes? Why do religions promise a life in the hereafter, free of sorrow and suffering? Is it because we don't know what to do with our problems now? Is the process of trying to end suffering through religion, through idealistic thinking, actually creating and sustaining suffering? 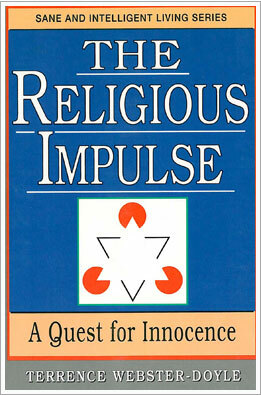 Religious Impulse – A Quest for Innocence is concerned with the development of ethical and responsible behavior. This book questions the traditional religious process of becoming good, and examines how this process paradoxically cultivates irresponsible and immoral behavior through the inculcation of conventional theological beliefs.